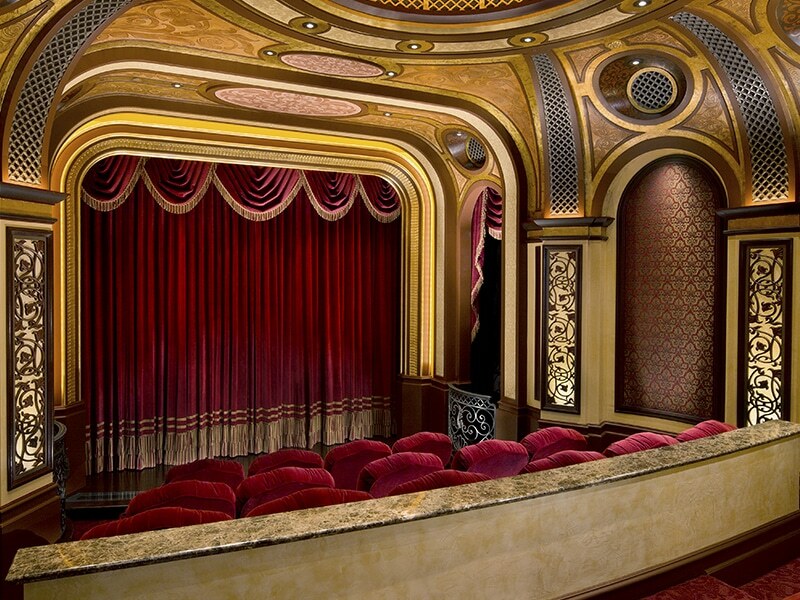 With an unprecedented level of attention to detail, this intricate theater project spanned five years and won CEDIA’s 2013 Electronic Lifestyles Award for Best Overall Home Theater ($1m and up) and a Gold Technical Award for design and engineering excellence. A Model LS system was installed in the 15-seat theater to deliver extreme sound pressure levels while maintaining outstanding dynamic headroom. All speakers are hidden behind acoustically-transparent materials, allowing the decorative elements of the room to take center stage. This elaborate home was showcased on HGTV’s Million Dollar Rooms, a television series which highlights the very best in high-end design and luxury living around the globe.